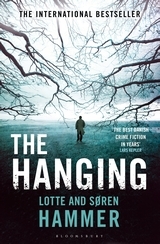 Lotte and Søren Hammer are a brother and sister crime writing team from Denmark, whose series of novels have become international best sellers. Given the popularity of Scandinavian crime fiction in the UK, it’s surprising that their books haven’t been translated into English earlier. This has now been rectified, however, with The Hanging, which will be published by Bloomsbury on the 6th June. One Monday morning, before the start of lessons, two children come across the hanging bodies of five naked men in the school gymnasium. All have been horribly mutilated. The investigation gets off to a bad start. Because of the Turkish background of the children, a prejudiced cop takes his time to respond to the call. Copenhagen police investigator Konrad Simonsen is recalled from his holiday to investigate the crimes, but when the victims are revealed as paedophiles, he and his team have to fight public and media opinion that the men got what they deserved and find the killer. The book has a memorable opening, mutilated men found dangling from the ceiling and this sets the scene for a well written and thought provoking crime novel. The subject matter is, of course, distressing and the damage done to young people’s lives isn’t skated over in this book. But the language of the writing is dispassionate and in this respect it reminded me a little of Man on the Balcony. Any killings involving paedophiles is bound to divide public opinion and this book portrayed very well how an investigation can struggle when justice has considered to have been done. The media have an all important role in this and the scenes involving the press are well done. You get a strong sense of the preoccupations of modern Denmark and also a feel of Copenhagen as a city. The authors have created some memorable characters. Simonsen is your archetypal overweight cop but the ‘Countess’ a rich police officer with an independent income isn’t. 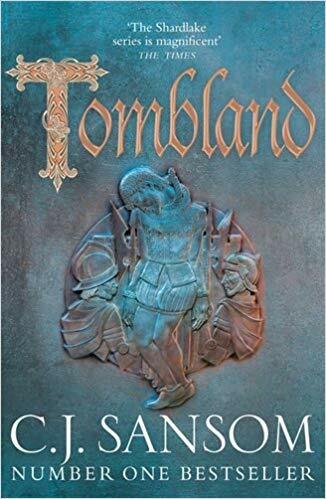 There is a young woman in the force, Pauline Berg, who struggles to find her place in the team and the scenes involving her and the Countess are also fascinating to read. This is the first of a six-part series and I think it likely that it will garner a legion of fans in the UK. I’m one of them. Thanks to Bloomsbury for sending me a copy of the book. The authors’ website is here. Sarah – This sounds like an absorbing if at times difficult (given the subject matter) read. I like the idea of looking at not just the overall portrayal of life in Copenhagen but also of the immigrant/minority experience there. I’m glad you enjoyed it. I did thank Margot. Actually the Turkish bit was only a tiny part of the book but these little vignettes always make a book more interesting I think. Tempted….wavering…..but probably not for me, on balance- too much waiting already! Fair enough. I know about that TBR pile! Reading your review and the mention of this series only just having found its way into English made me think about translation and crime novels and I wondered if you have any favourite translators whose work you would always recommend. I know that in the world of children’s literature (where, to be honest, there is very little translated) there are certain translators, particularly Anthea Bell, whose work is always so good that I’m likely to pick the book up on that basis alone. I trust her to only work with the best writers and to do an excellent job, whereas a bad translation can mangle even the greatest of novels. Is there a crime equivalent? I think there is Alex. Maxine Clark who was one of the early crime fiction bloggers was a big fan of the translator Don Bartlett who is Jo Nesbo’s translator. I have read a lot of translations by Neil Smith (Liza Marklund, Mons Kallentoft) and he is good too. I’d also recommend Sian Reynolds who translates French author Fred Vargas’s books. Good review, and I’m tempted because I have just been in Copenhagen, and would enjoy reading about it – but somehow I think this one is too gruesome for me. Interesting though, and obviously some philosophical issues raised! Definitely like the sound of this one Sarah. Thanks for the excellent review. Based on your review, this sounds interesting and I will definitely give it a shot. I especially appreciate that they are publishing here in order. I may hold off until I have read some of my backlog of other Scandinavian mysteries, though. Sounds great Tracy. And yes it’s good that they’re being published in order. I think I’ll steer clear of this subject matter, and dig into my TBR pile and lists. Library, purchased and gifts of books are overtaking my apartment. This is a tough topic, but your blog always gives me more ammunition to pile on the TBR list so while I skip this one, I have so many others. Thanks Kathy. This is a good book though, so if you can find a small place in your reading….. Thanks Kevin for stopping by and commenting. Do Stu – I actually have a spare copy of the book. Can I send it to you? I’ve only just spotted this review but it sounds right up my street. I’m always so excited to catch a series from book 1! And the comparison to Man On The Balcony has completely sold it to me. So glad to have caught this before it fell off my blog reader! Really need to catch up! I know what you mean about so many blogs. I think you’ll like the Hammer book, Marie.